What do you look for when purchasing a book? The cover? The title? The author? The genre? Familiar setting? Fiction or non-fiction? Print or e-book? Price? Does your decision-making change for used rather than new books? I’m always on the lookout for something to add to my bookshelves (print and electronic). I subscribe to the Kindle Daily Deal email. I visit bookstores for regional books by local authors. But my mainstays for print books are thrift and used bookstores. 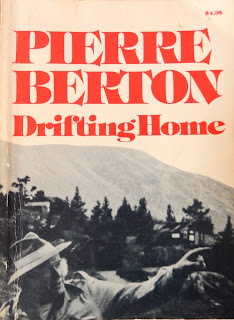 Drifting Home (McClelland and Stewart Limited, 1973) by Pierre Berton was a recent used purchase. The cover had a photo of the Canadian wilderness. The title hinted at the content, travelling by river to a meaningful place. The author was Canadian and the front pages listed many other interesting titles. At the time I purchased the book, I didn't know how famous he was. The book’s genre was travel memoir. Since I’m working on a memoir of my own, that was of great interest. The setting was floating in inflatable boats down the Yukon River towards Dawson City. I’m familiar with this territory because Wayne and I flew there in our Piper Arrow. I remember walking the historic streets, visiting Jack London’s cabin, riding on the riverboat to the First Nations village for a planked salmon dinner, and a funny story that goes with that (Up the Main, Chapter 15 “NDB-DME Approach”). When we flew into Dawson, the air traffic controller kept calling us a Pace Arrow, not a Piper Arrow. We thought he might be confusing us with a Tri-Pacer, a small plane more common in the bush. As we rode the riverboat to dinner, we passed the ferry that crosses the Yukon. At the head of the line was a huge RV with Pace Arrow emblazoned across the front. I instantly flashed back to the sci-fi spoof movie Space Balls with its huge flying RV that shuttled the heroes to the stars. Back to Drifting Home. 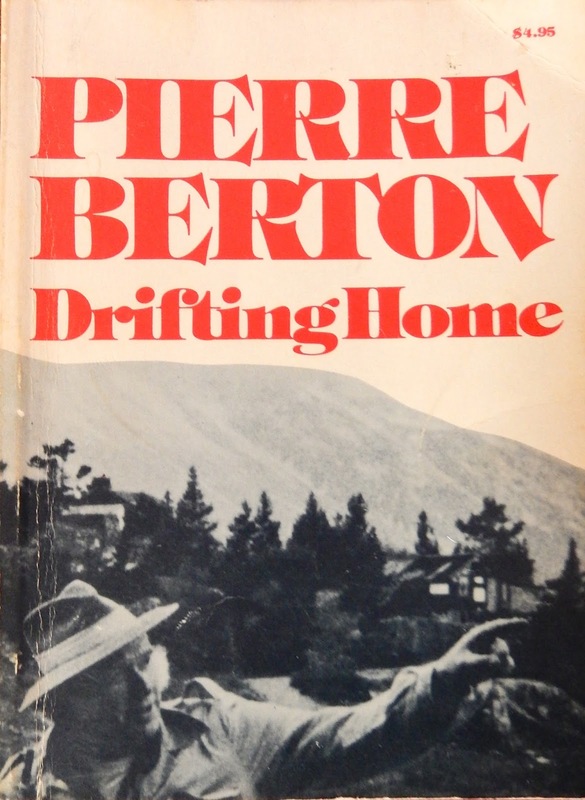 Pierre Berton combined history (his father crossed the Chilkoot Pass in 1898 during the gold rush), tales from growing up in Dawson, and the guided float adventure heading back home with his wife and seven young and grown children. Each chapter encompassed one day, including flashbacks and a narrative of the day’s adventures.